Tension in a relationship can often stem from money woes. In fact, research has shown that money sparks tension in the relationships of around 7 in 10 couples. But disagreements about money can be avoided by keeping the lines of communication open. 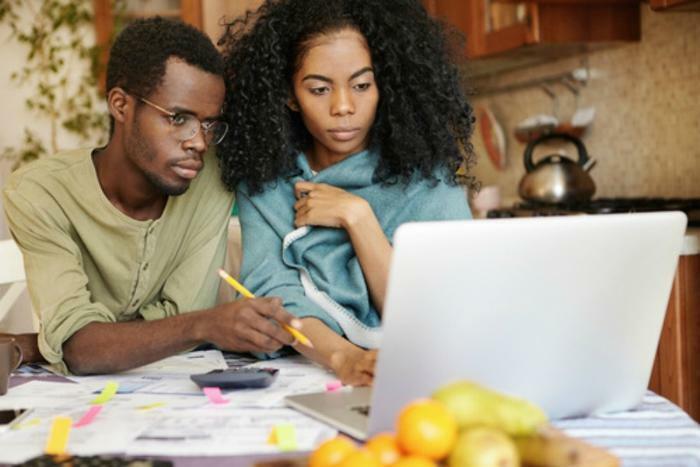 While you may not be able to predict what financial circumstances will befall you in the future, you can make sure your relationship won’t be rattled by money-related issues. "Money discussions are tough to have, often bringing up core issues about our own relationship to money, as well as anxieties about the future," said senior CFP board ambassador Jill Schlesinger. "While it can be a hot button issue for many, not being open with your partner about money can often lead to more issues down the line." Talking to your partner about your finances can keep your relationship on solid ground no matter what financial issues may crop up in the future. But there’s a right and wrong way to broach the topic of money with your partner. Schlesinger has a few tips on how to start a conversation about finances. Her first piece of advice: choose a good time to talk. Instead of bringing up money during a heated argument, set aside a specific time and place to have a calm, judgment-free chat about money. Share it all. Let your partner know where you stand financially by sharing information on outstanding debt, investments, bank and retirement accounts, and any bonds you may have. Create a master list of assets and note who owns each or whether it’s jointly owned. Make sure to include any account usernames and passwords, broker names, contact information, and other account info to share with your partner. Allocate financial tasks. With the conversation behind you, the next step is to divide financial responsibilities in a way that suits each partner’s strength. The task of handling day-to-day bills may be better suited to the partner who likes to use apps to track spending, while managing long-term investment accounts may be a better fit for the other partner.